Fairly certain this isn't available to buy anywhere. 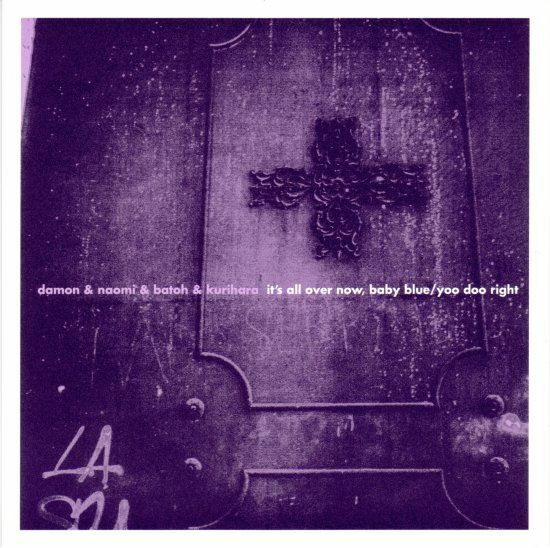 In 1999 Damon & Naomi released a 7" single on indie Grimsey Records (run by Andrea who had been the A&R at Ryko who had coordinated the Galaxie 500 reissues) - the single featured covers of Bob Dylan's It's All Over Now Baby Blue and Can's Yoo Doo Right - both performed live with Masaki Batoh (of Ghost) and Michio Kurihara at TT the Bears Cambridge, Massachusetts April 9, 1998. Next month Damon & Naomi's fantastic fourth album "With Ghost" gets a long overdue re-release by Drag City, as well as the usual digital and CD releases there is also a vinyl release that comes with a bonus 7" featuring covers of The Velvet Underground's Femme Fatale recorded at the With Ghost sessions, and a live cover of Tomokawa Kazuki’s song "My Flower".